Peterborough’s “flytipping epidemic” - what’s to be done? 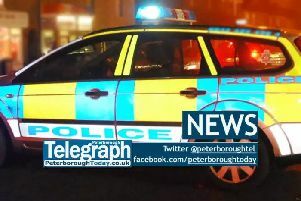 More and more instances of flytipping in Peterborough and surrounding villages are being highlighted by Cambridgeshire police and Peterborough City Councillors. Police are appealing to anyone who saw a commercial vehicle in Glatton Road, Glatton, on the evening of Thursday September 8 to get in touch after industrial waste was dumped. The vehicle is believed to have illegally dumped industrial waste in a field entrance and damaged a metal farm gate in the process. And today, Thursday September 15, Peterborough City Councillor Richard Ferris tweeted another incident of household flytipping leading to public calls for more CCTV and bigger penalties for those caught and prosecuted. Anyone with information about flytipping is asked to call the police on 101 or Crimestoppers anonymously on 0800 555 111 or through their anonymous online form at www.crimestoppers-uk.org.